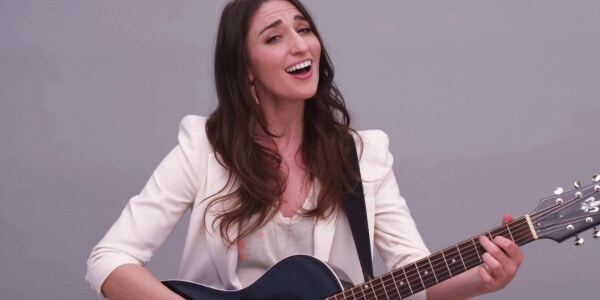 Keeping consistent with the starry-eyed spring vibes, our next installment of Music Inspiration comes from the lovable Sara Bareilles. Her follow-up single to “Brave” from The Blessed Unrest, “I Choose You” and its accompanying video are just about cuter than a basket of fuzzy kittens. Two couples reached out to Sara to help them with their marriage proposals – play the video below to find out what happened! Need a box of Kleenex after that one? I don’t blame you; “I Choose You” is so painstakingly adorable that Taylor Swift and Ingrid Michaelson couldn’t have done it better themselves. Send the song to your mom, your significant other, or your best friend and let them know you love ‘em to pieces just like the fans in the video! Get a “beautiful start” to your day with this adorable get-up that’s perfect for breakfast, brunch or class. 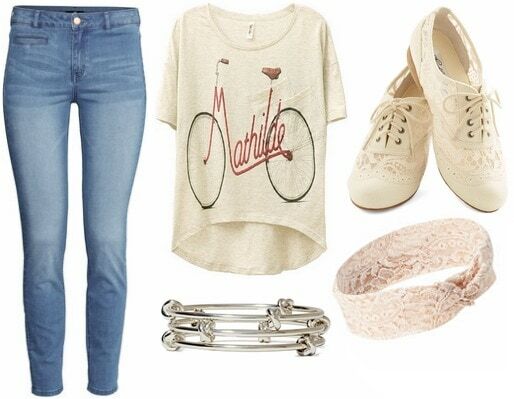 Throw on light wash skinny jeans and an oversized top that Bareilles would likely rock on a casual day. Hearkening the wedded-bliss concept behind the song, the lace details in the oxfords and headwrap, as well as a tie-the-knot set of bangles will have you saying “I do” to this outfit! Bareilles is one of the most talented songwriters in pop music, and “I Choose You” wonderfully exhibits her gifts. The poignant lyrics read: “I’ll unfold before you” like a “lifelong love letter” and we candidly channeled this idea with adorable envelope earrings. Expanding on the nuptial impression, here we selected “something blue” for you to wear! Pair blue polka-dotted shorts with baby blue leather sandals and a flowy white tank. Get glowing with iridescent face illuminator and get going with a speckled backpack. Sara Bareilles is a master of casually classy style, and this last ensemble is perfect for a spring date with your girls or significant other. Feel as pretty as a bride with a white circle skirt and matching flats. 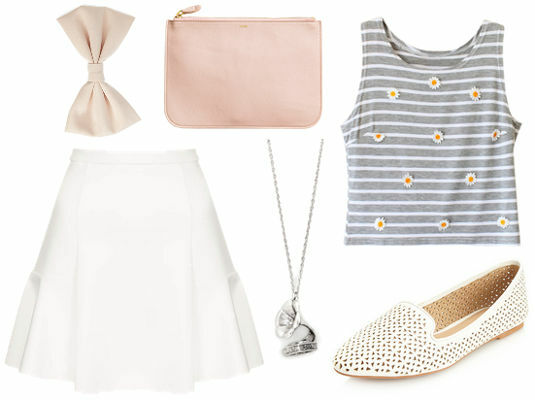 Get your own bouquet going with a striped daisy shirt, and posh it up with a satin wallet and hair bow. Top the look off with a gramophone necklace, then hit the perfect note with this elegant outfit. Do you like Sara Bareilles’ new song? Which outfit would you wear? Which proposal in the music video is your favorite? Let us know in the comments!